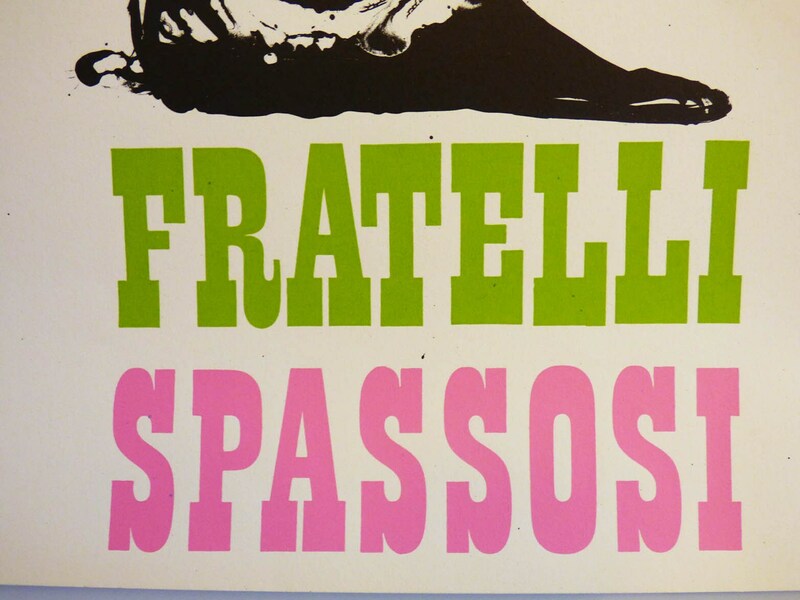 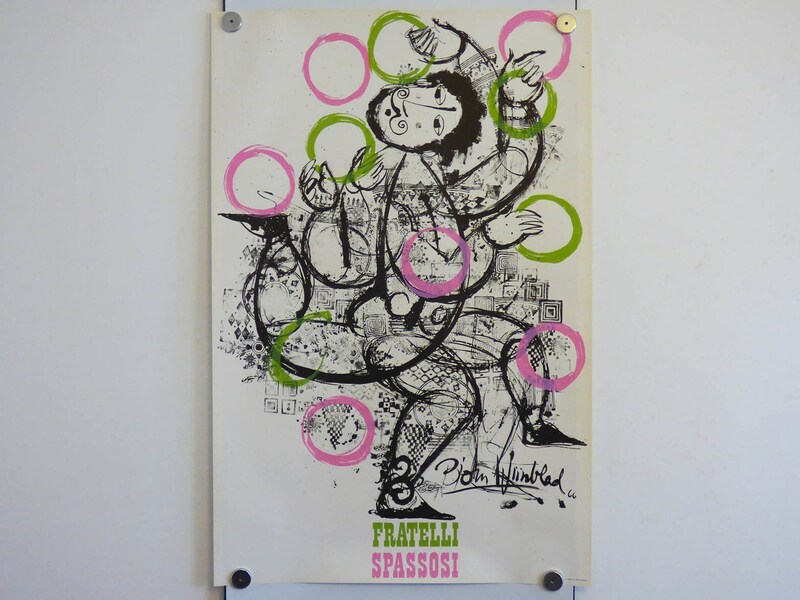 This poster was designed by the wonderful Bjorn Wiinblad and is titled "Fratelli Spassosi" I have found very little about why Wiinblad produced this piece, but it is rumoured that around this time there was a duo of Jugglers of the same name, so it may have been advertising a juggling show. 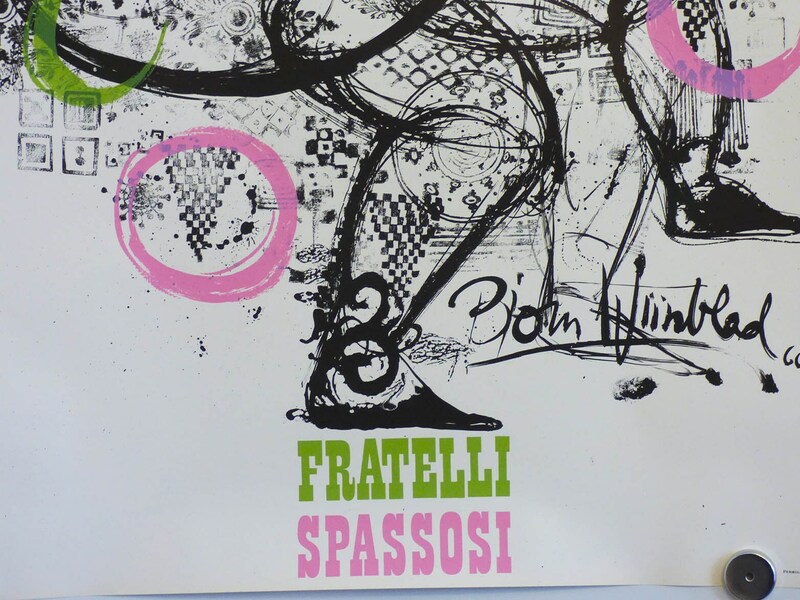 Wiinblad also produced a near identical poster with clubs rather than rings, and the poster was also produced in differing colours. 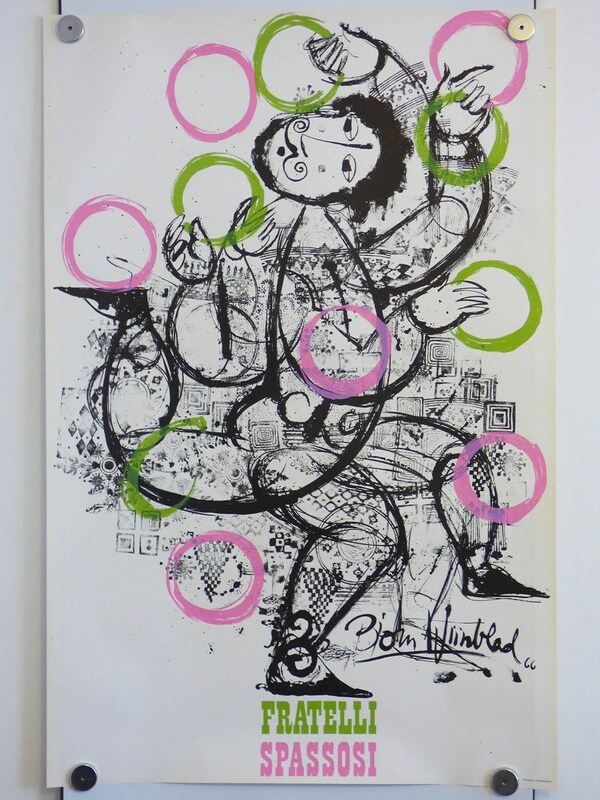 This Pink and green version, in my opinion, is the finest, and it is typical of Wiinblad's quirky imagination. 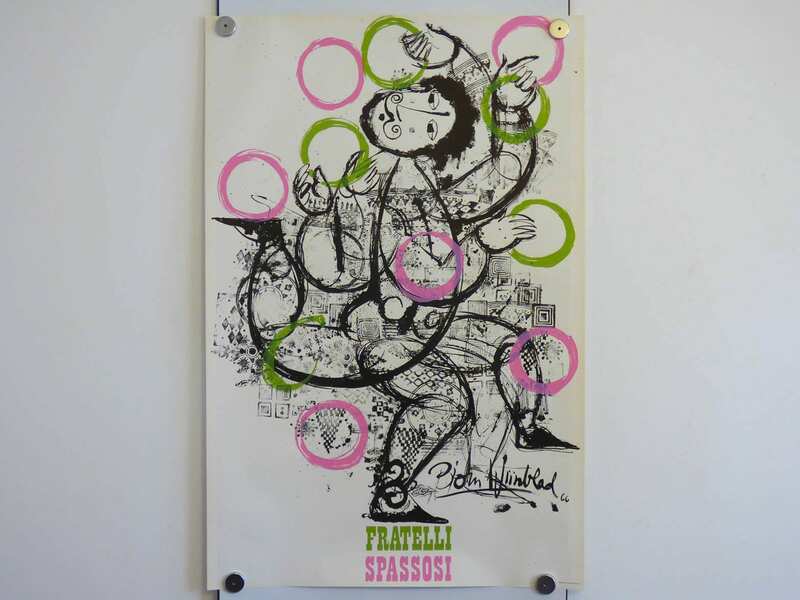 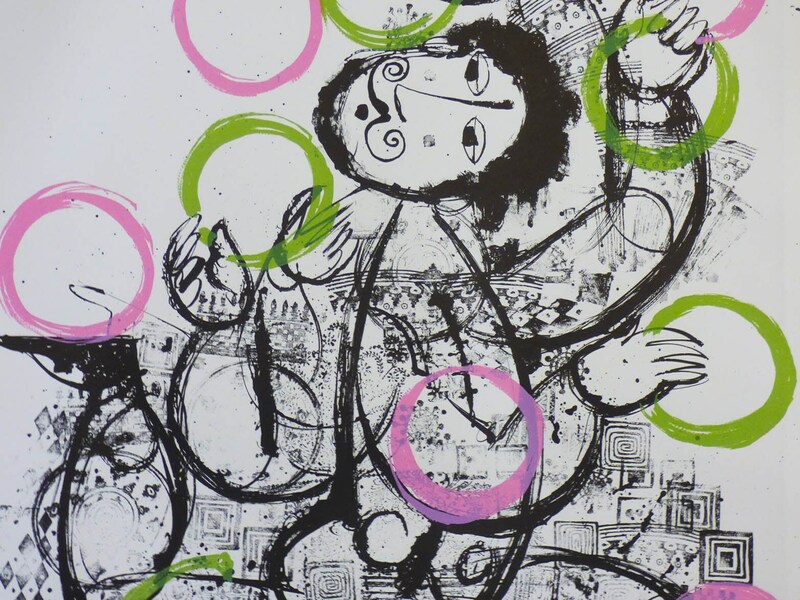 The poster was produced in 1966. created on heavy weight paper, lithography, the print has a matte finish to the surface, with highlighted areas green and candy pink. 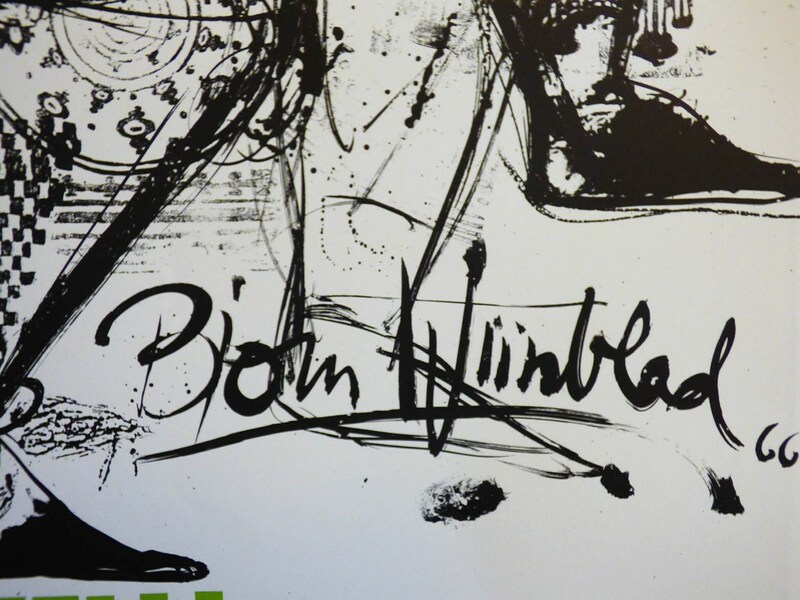 The image is signed and dated by Wiinblad in print. 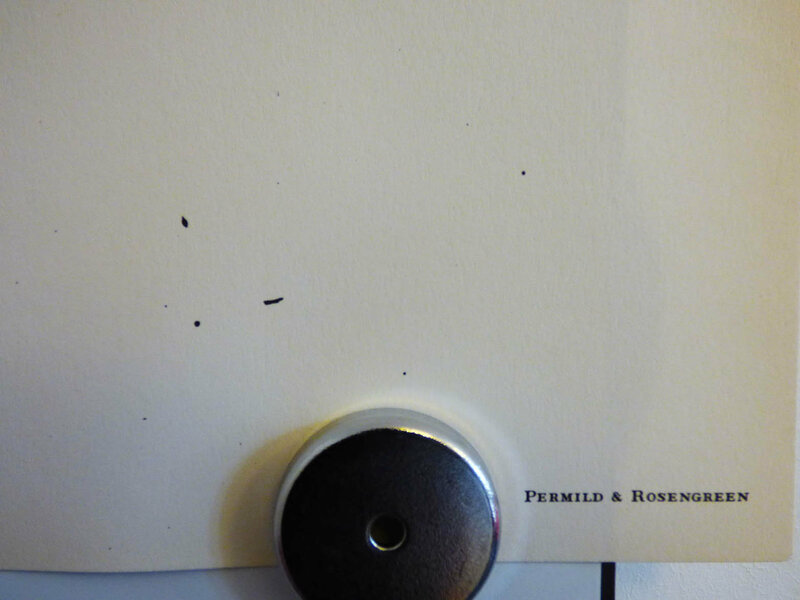 Printed by Permild and Rosengreen of Denmark. 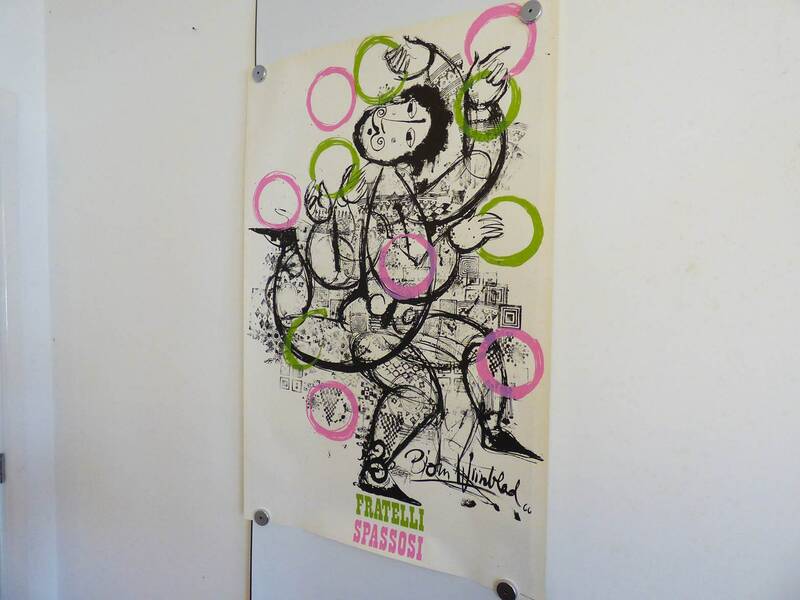 Measuring (100 x 66 cm), this is a large sized poster. 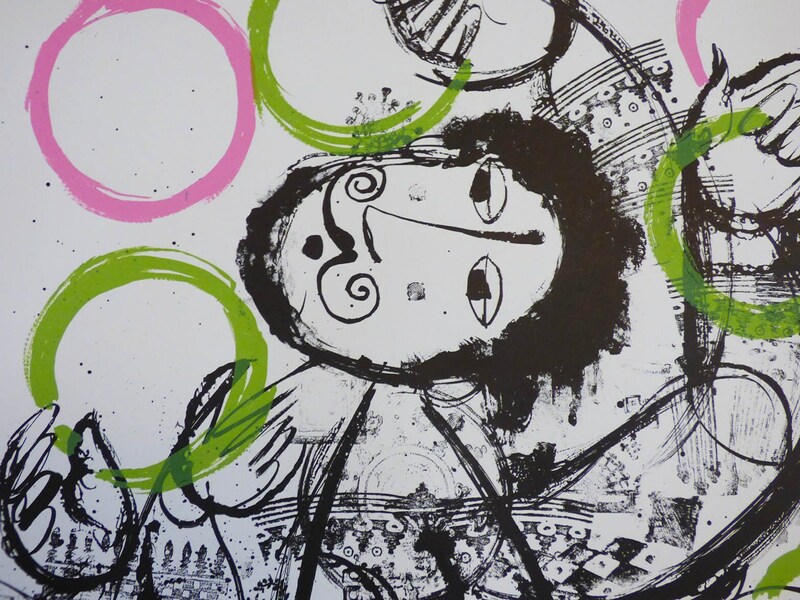 Wiinblad produced hundreds of designs and worked with ceramics, bronze, textiles, and of course his amazing posters, which he produced, for the Olympic Games and the Royal Danish Ballet, and many other projects both in Denmark and America.